If you are selling items for ddung on etsy or elsewhere, post your links here. As you might already know I love making cute outfits for our little ones! And I have a couple of examples on my Etsy shop. 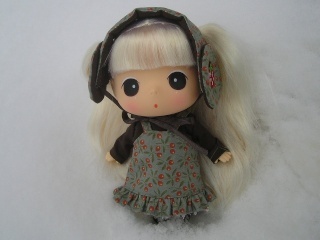 But I also take comissions so if you see a dress for another doll I've made (check out my Flickr) of which you like the fabric, you can ask me to make you a Ddung version and I'll happily go ahead! Plus I have many other colors of the same fabric still not shown, so if you desire a special color: just ask! Same for the soft beds (in any size you need), that can be made in different colors (not shown) and for the blankets or and pillows, that I sell also separately (prices and some examples coming soon).